PSTJ Volume 10 Issue 3 Is Coming Soon! Prespacetime Journal (ISSN: 2153-8301) is a publication in which physicists, mathematicians and other learned scholars publish their research results and express their views on the origin, nature and mechanism of spacetime and its possible connection to a prespacetime. It is also a journal where all learned scholars can present their models and experimental results on elemental particles, fundamental forces including gravity and related topics. PSTJ employs a three-tier due diligence process in selecting submissions for publication. First, all submissions are screened by the Editor to determine whether the contents and/or forms are suitable for publication in PSTJ; and unsuitable submissions will be declined without reviews. Second, the remaining submissions will be reviewed by the Editor; and submissions passes Editor's review will be accepted for publications. Third, the still remaining submissions will be sent to one or more PSTJ Advisors or outside reviewers for further reviews or sent back to the authors for revisions; and final decisions will be made by the Editor based on PSTJ Advisors' or outside reviewers' reviews and/or revisions made the authors. The Editor will also solicit certain articles for publication or invite some authors for submissions which will then be put through the said due diligence. Commentaries to articles published in PSTJ and replies from authors are welcomed; and they will be subjected to the said due diligence before acceptance or refusal. There is also a Prespacetime Forum available for discussing issues related to prespacetime & other fundamental questions of physics. You can purchase each PDF Edition plus bundled PDF Editions of PSTJ through PayPal and have the same e-mailed to you. PSTJ Volume 10 Issue 1 (ISBN-10: 1090116810); PSTJ Volume 10 Issue 2 (Pending). PSTJ Volume 10 Issue 2 Is Published: You have the option to read individual articles online (some articles are not free) or purchase the PDF Edition or Print Edition (Pending). 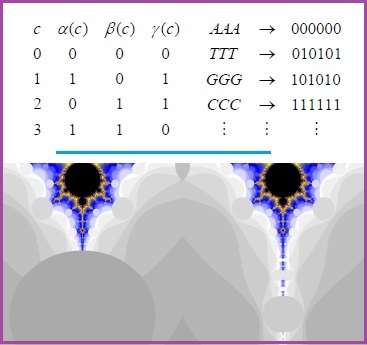 TGD Counterparts of Classical Field Configuration; Friedmann Cosmology with Decaying Λ; String Cosmology with Bulk Viscosity; Codes Over the Ring; Stirling Numbers; Gravitation, Entropy & the Mandelbrot Set; Construction of Scattering Amplitudes in TGD; Squared Neutron Number & Nuclear Binding Energy; Big Science & “Deep Science”; Inspiration of Tesla; & Cracking Causality. Purchase PDF Edition or Print Edition (Pending).